So long you pretty thing? 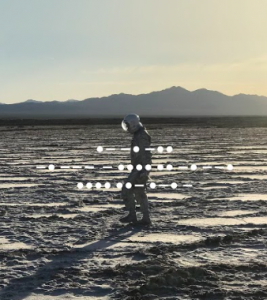 Far too much has been said about how And Nothing Hurt could be the last Spiritualized record, but it’s hard to ignore, especially when the tribulations endured during the creation seemed exhausting and punishing for the artist. And yet, this album is no wake, it’s a record that deserves to be ranked alongside the act’s finest work and one which should lift any listener out of a weary or dejected mindset. This is still Pierce’s sound, it’s still the song of the Spaceman, but he has come back to earth, aged, and realised that his world is different, more cracked but still capable of displaying beauty. There’s always been a feel of heartache and regret to Spiritualized’s work but here, it’s more wistful; it’s not prepared to “run run run” after losses anymore; in fact, it’s content to sit right here and wait to see how it all pans out. No matter what era or style of the band’s past, you’ll find it here. The ragged free jazz of The Morning After, the lullaby-esque charm of A Perfect Miracle, the care-free bliss of Here It Comes (The Road) and the melancholic contentment of Let’s Dance all clamour for attention and repeat plays. Living with the album for a few weeks proves it is as good as you think it is, you’re not just projecting good wishes on it.